Announced at the group’s Capital Markets Day event in Balocco, Italy, the move will see an investment of more than €9n in electrification technologies that will introduce 30 new battery or hybrid models by 2022 – including a fully electric version of the 500. Diesel will, however, continue to be offered in its commercial vehicles, according to the compliance plan. Alfa Romeo will get hybrids and plug-in hybrids, the latter featuring an all-electric range of less than 50km and 0-62mph acceleration in around 4.5 seconds. It will also introduce a 25% more powerful version of its E-booster technology, using a small electric motor to assist the petrol engine and reduce turbo lag. 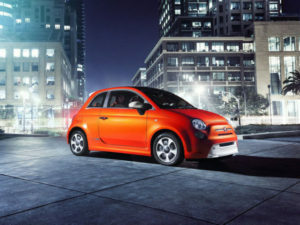 Plug-ins will be offered from the Giulietta upwards, with the Mito supermini set to be discontinued. Maserati will get four new EVs and eight PHEVs. This will include the Quattroporte and Levante, as well as the Alfieri two-seater concept car, which will target Tesla with a targeted ~2 second 0-100kph and the latest long-range, high-power battery technology. Fiat Chrysler’s announcement comes as a number of carmakers ditch diesel from their line-ups, including Toyota which will have discontinued all of its diesel passenger cars by the end of this year, while Suzuki has stopped importing them into the UK, and Nissan recently said it would phase out diesel enginessd new models come on stream. Volvo also announced two weeks ago that it will phase out diesel from 2019.